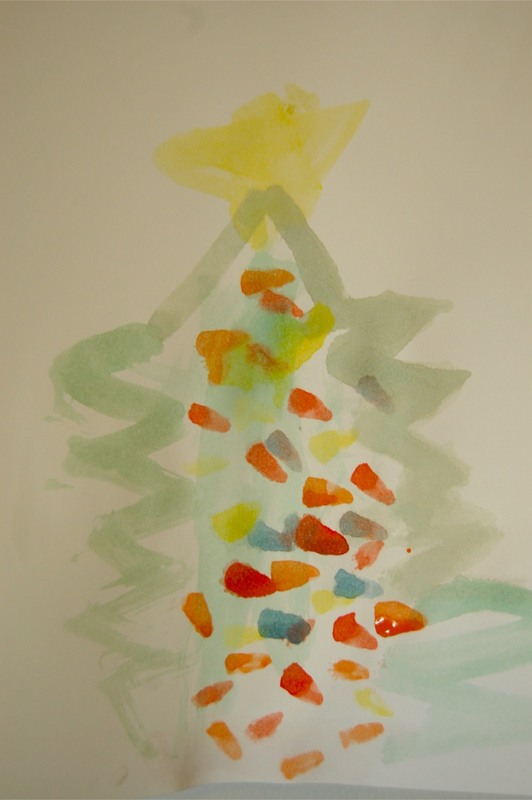 Taya wrote her letter to Santa after she finally decided what she wanted. 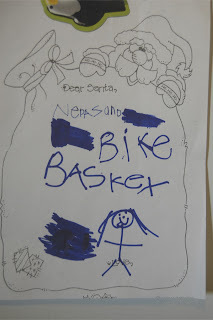 It says, "knee pads, and bike, basket". 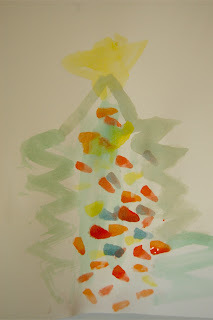 She also painted this picture of a Christmas tree! 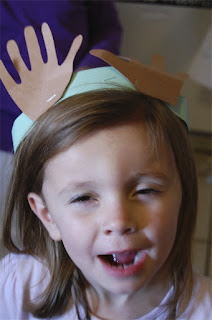 Taya and Sienna made these cute reindeer antlers at the Gym's playroom yesterday. And they sang "Rudolf the red nosed reindeer" It was very cute!